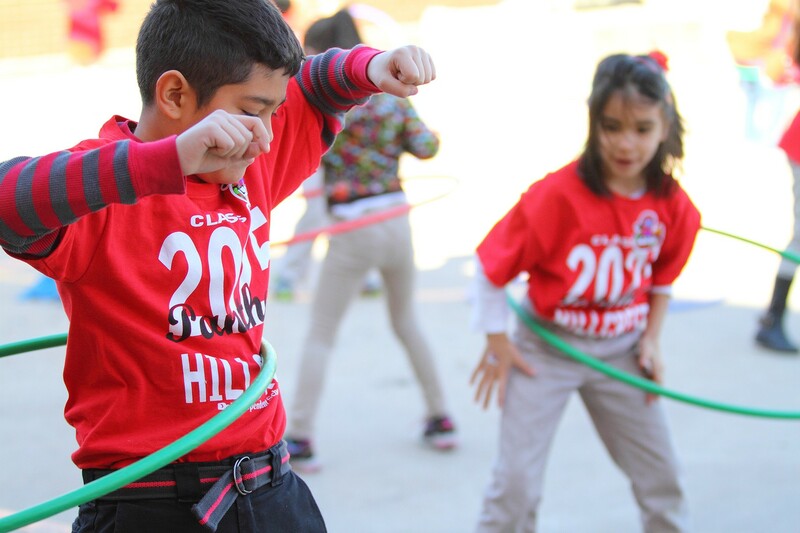 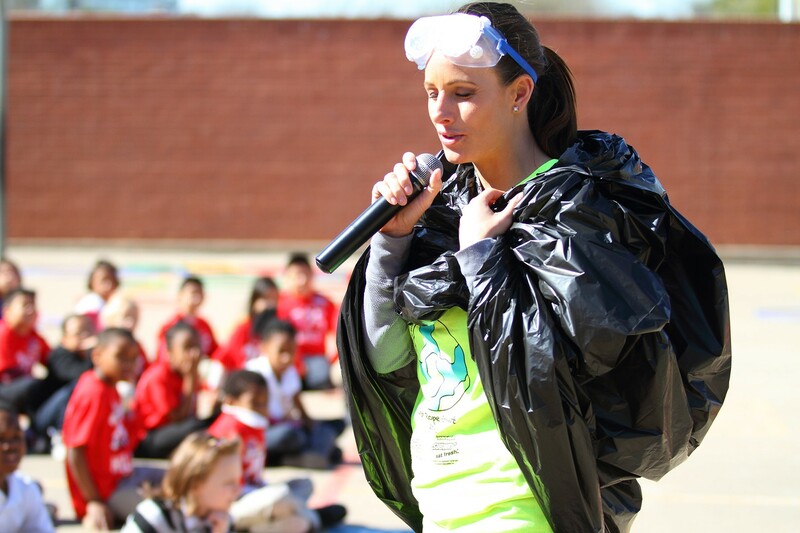 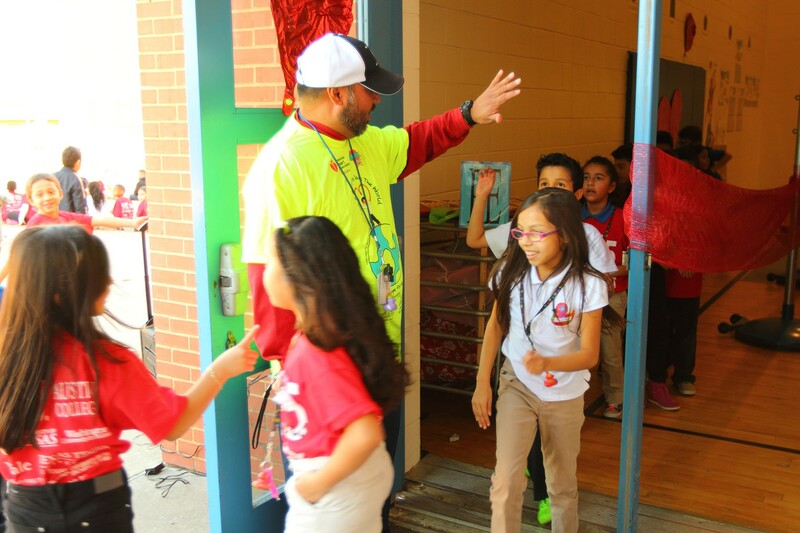 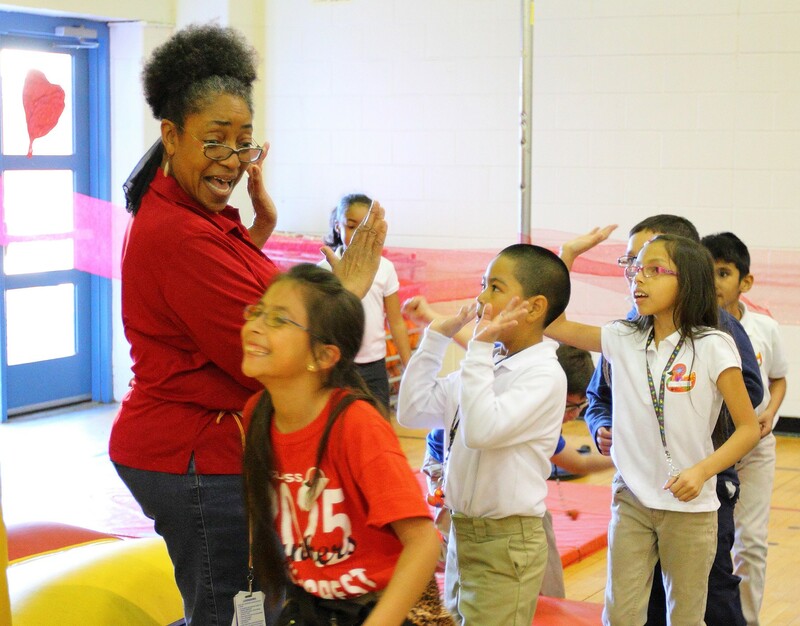 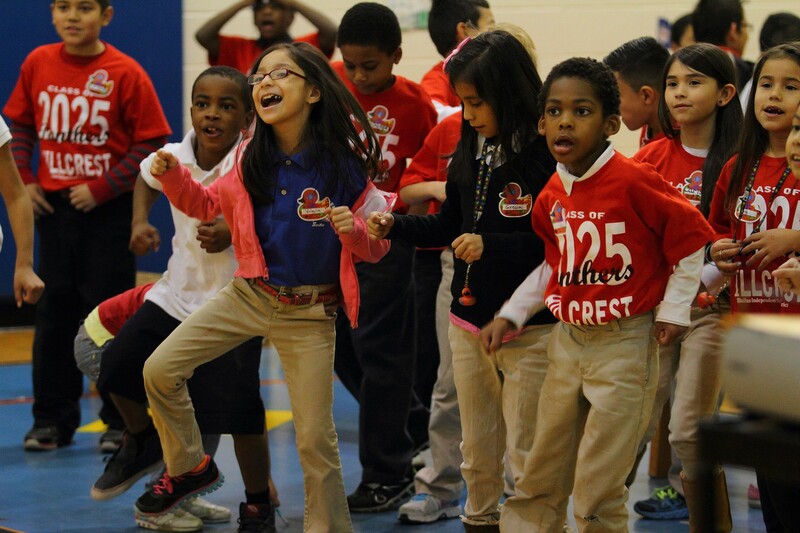 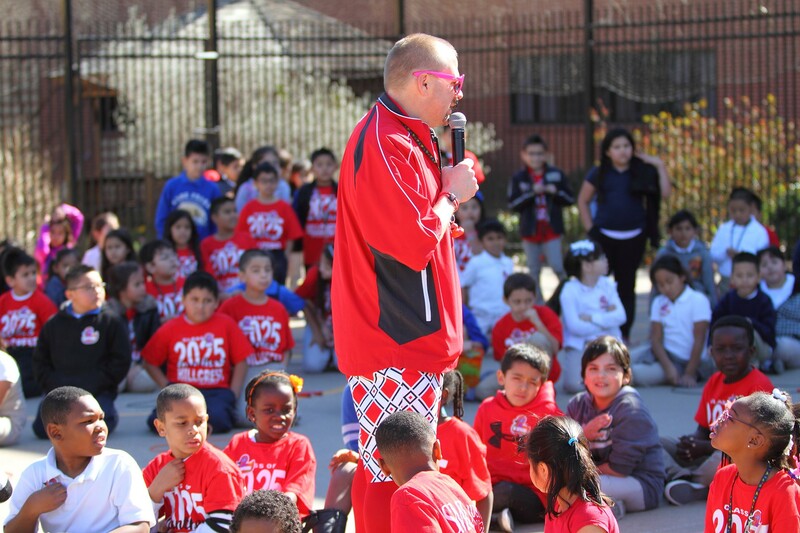 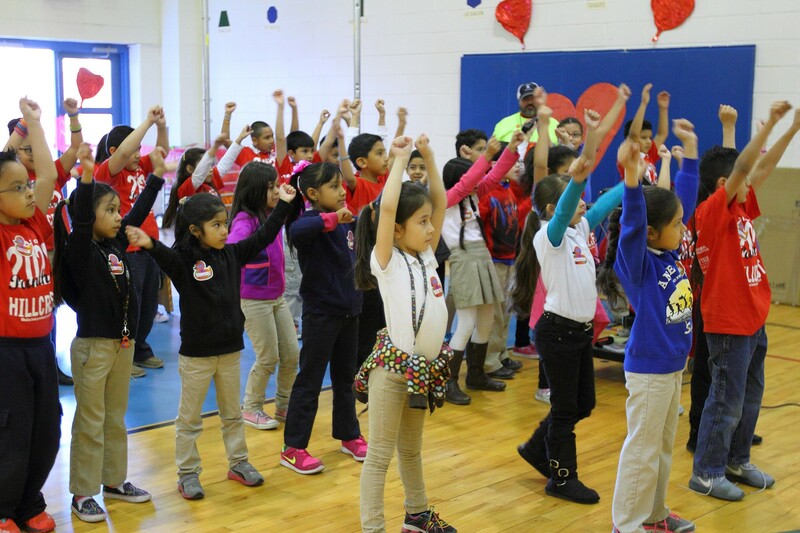 Dallas ISD staff and students supported two fundraising campaigns to benefit the American Heart Association on Friday, Feb. 13. 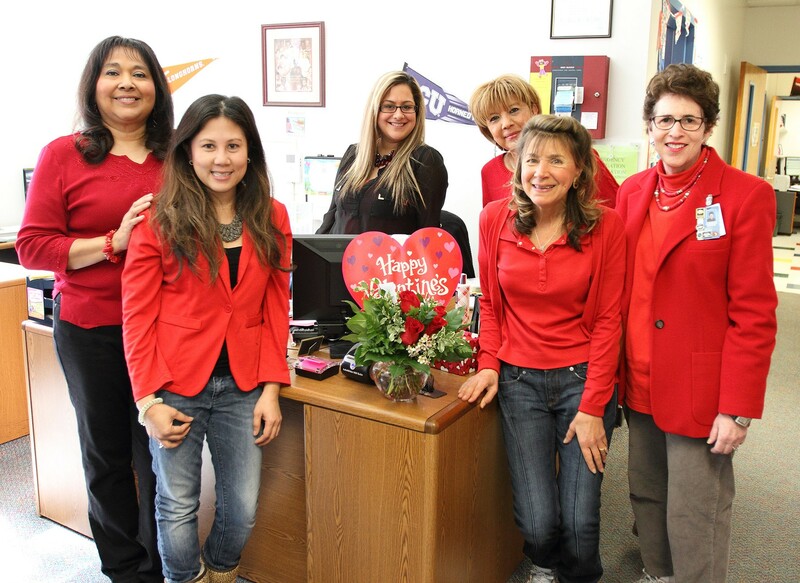 District employees supported the “Go Red for Women” effort, paying $5 each for the privilege of wearing jeans to work. 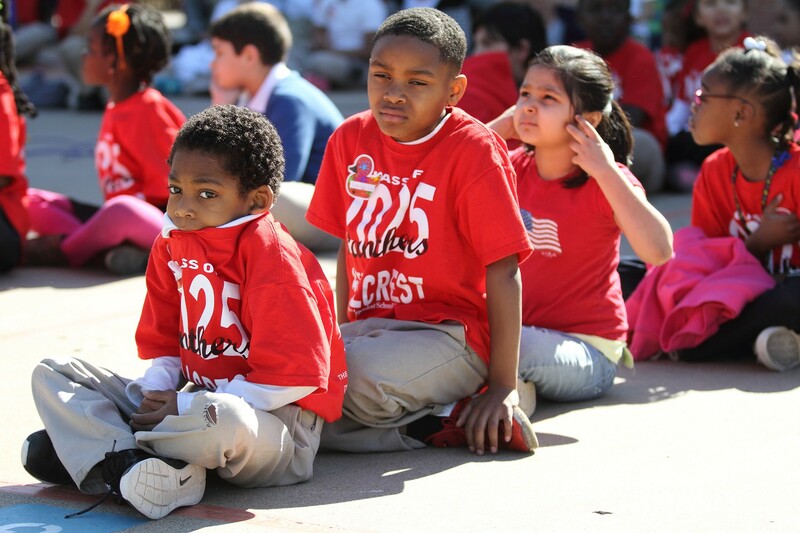 Many wore red shirts to raise heart-health awareness. 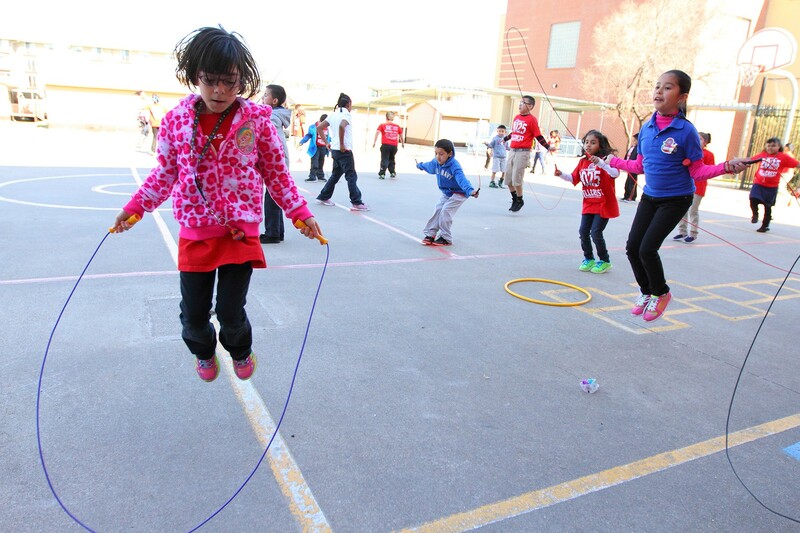 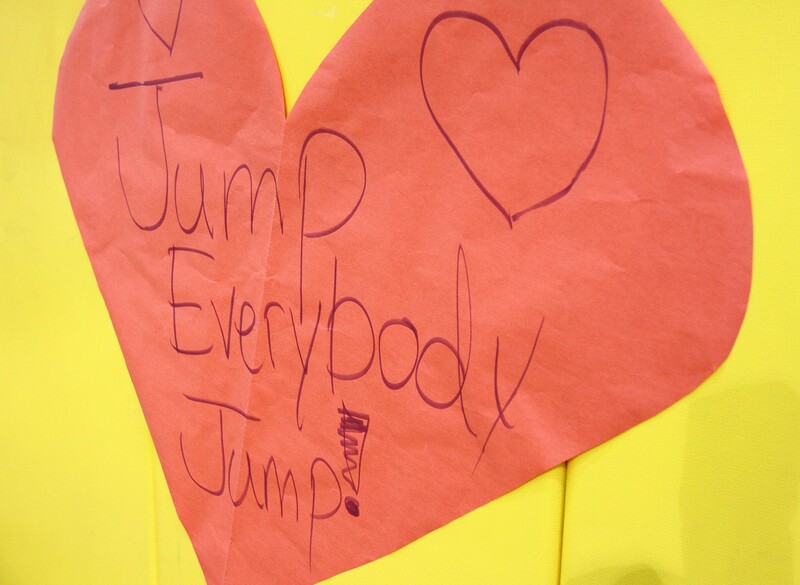 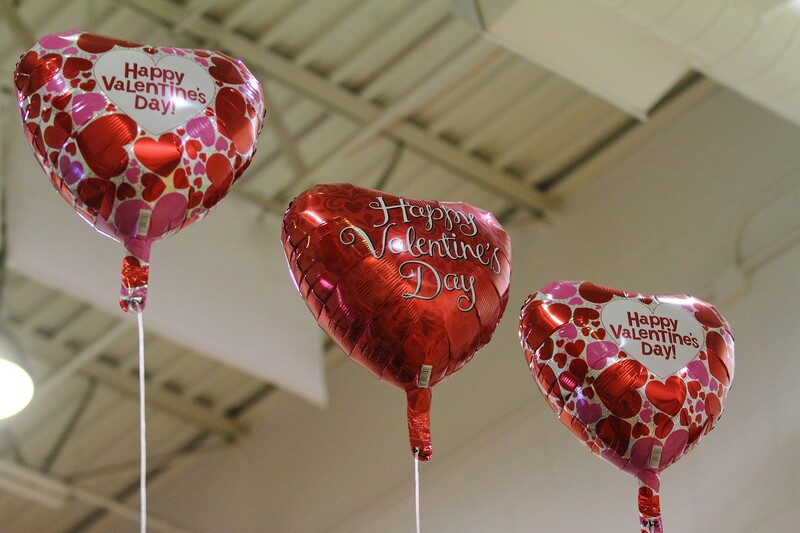 For the students’ part, many solicited pledges for the annual Jump Rope for Heart event. 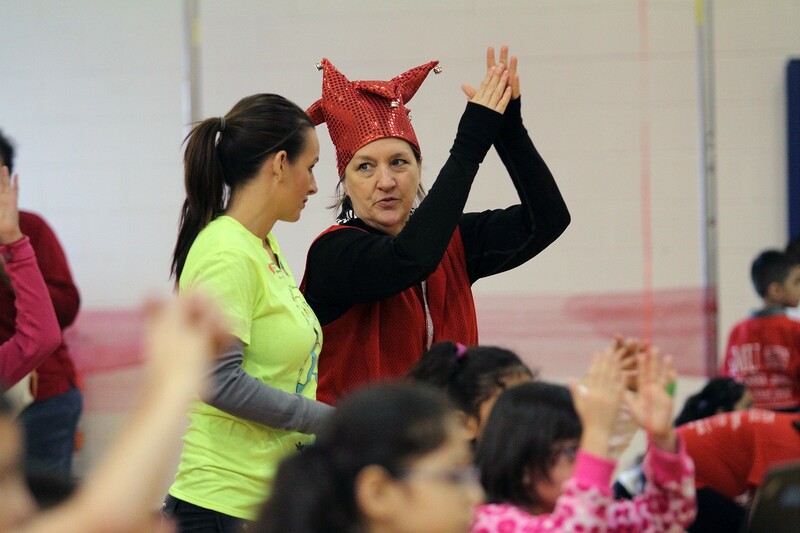 At Anne Frank Elementary School, much of the school supported both campaigns, including Principal Jonnice Legum-Berns, the office staff and several teachers. 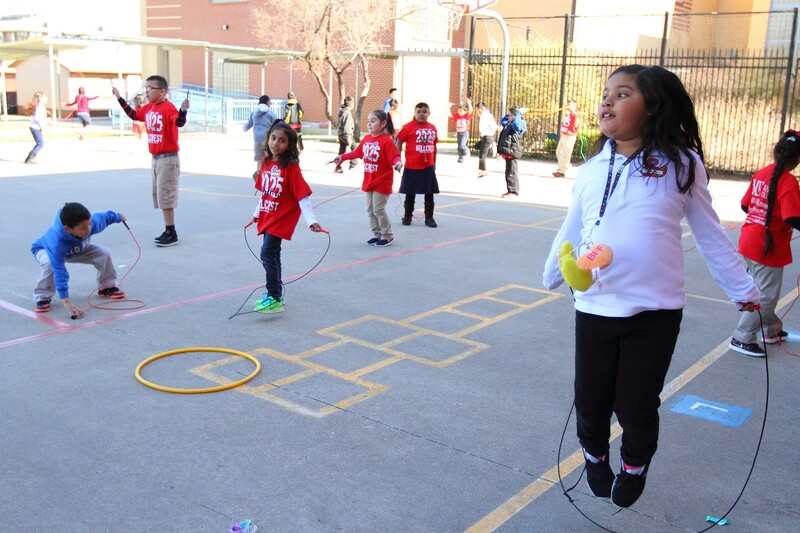 Since 1998, students have raised more than $66,000 using Jump Rope for Heart, and were getting close to this year’s goal of raising $10,000. 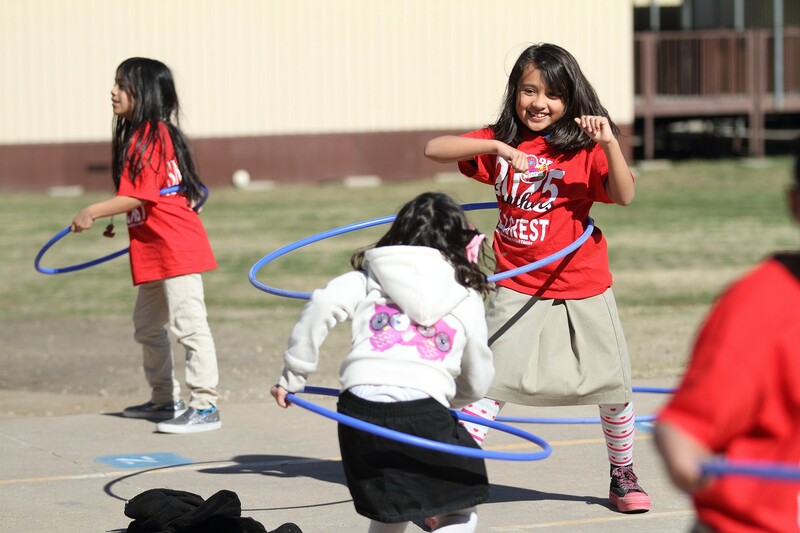 On Friday, each grade moved through five heart-pumping activity stations that included jumping rope, hula hoops, dancing and running through an inflated obstacle course. 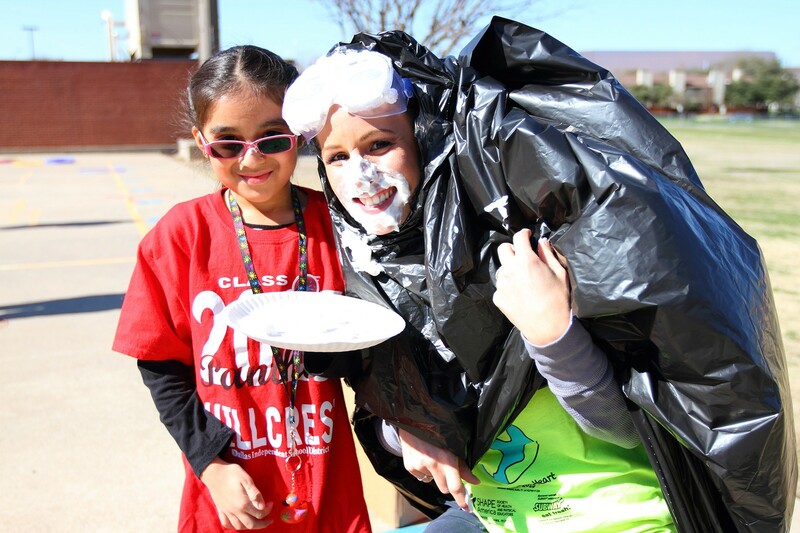 After doing the activities, the top fundraiser from each grade got to put a whipped-cream pie in teacher Jamie Gibbs’ face.